Meeting facilities: up to 8 persons. The office of Studio Legale Sutti for Monza and Brianza, one of the most dynamic economic regions of Northern Italy and Central Europe in general, was established in September 2001 in order to provide closer assistance to the very large number of industrial and commercial operations located there, especially in contentious matters. The Monza office, while being staffed by local personnel, retains of course a very strict integration with the central resources of SLS’s Head Offices in Milan, from where it can be reached in little more than half an hour by car or underground. 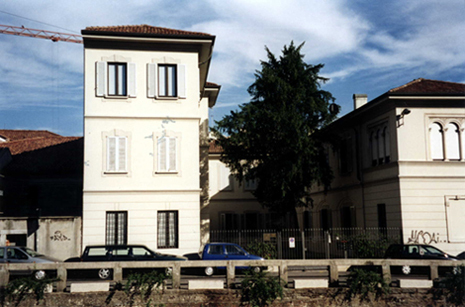 The specific mission of our presence in Brianza, where we are the largest law firm to operate its own office, is that of offering on site the full range of services of Studio Legale Sutti – plus that of providing the Firm’s clients with representation before all local courts and authorities. The especial focus on employment law of our Monza office, and especially of Davide Valsecchi, has been recognised by the local Bar Council, which chose him to teach employment law at its Bar School to local trainees. The preminent role played by our Monza office with respect to manufacturing delocalisation of Brianza businesses in South-Eastern Europe and to their trade with those countries – thank to SLS direct presence in Bulgaria, Serbia and Romania – has also been extensively discussed by the local press (see Il Cittadino 29/05/2003, “Bulgaria, Romania, ex Jugo: la Brianza va ad est. L’esperienza di uno studio legale che offre servizi alle aziende nei loro rapporti con l’estero”). A reception was organised in the courtyard of our Monza office on the 19th of September 2001, in order to celebrate its opening and offer our best wishes to our colleagues who operate it, which saw the participation of local authorities, business associations and journalists. Our plans to establish an office in this area had already been noted by Il Mondo, on the 7th of September 2001, some weeks before it became fully operational and the official opening above took place. Its actual establishment has also been positively commented on by the local and national press (see Il Giornale di Monza 26/09/2001, “Mega Law Firm for Businesses Opens in Monza”, American-Italian Business, “Studio Legale Sutti Opens in Brianza”, January 2002; Fullpress 12/09/2001, “SLS Opens in Monza”), as well as by the international specialised media (see LegalWeek 25/10/01, “Sutti Opens in Monza as Merger Looms”; European Legal Business, October 2001 “Sutti Growing National Presence”; The International Law Office Newsletter, December 2001).